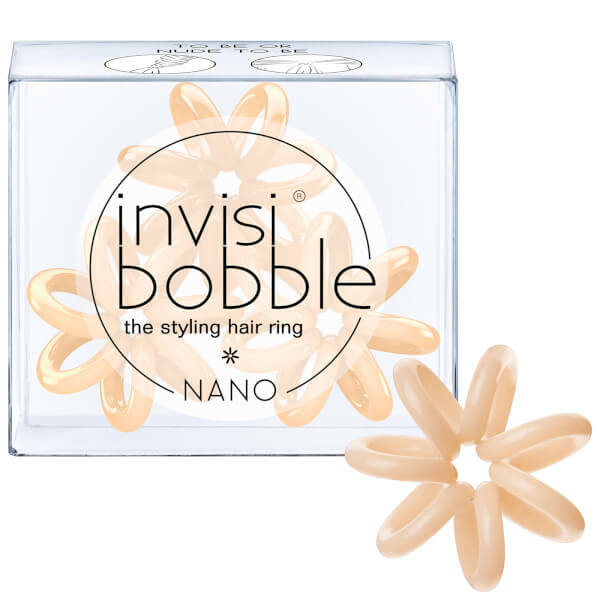 Perfect for any style or occasion, the invisibobble Nano Hair Tie allows you to separate smaller sections, fix up-dos, or secure braids in place without clips and pins. 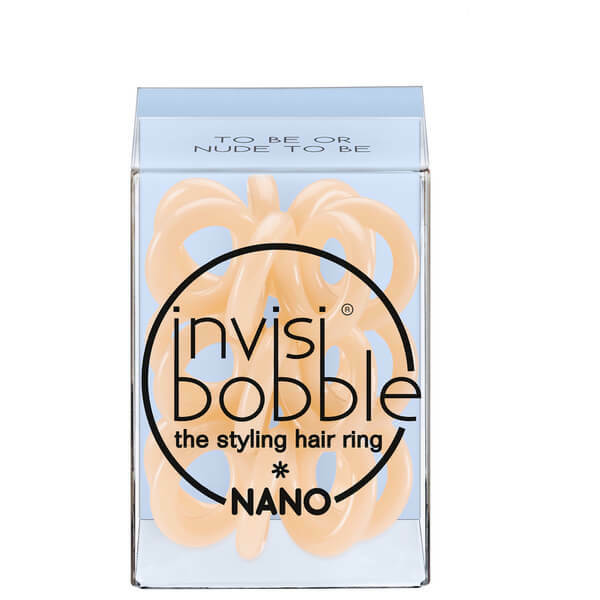 Fun and functional, the bobble features a unique, ultra-comfortable shape to prevent headaches and kinks, whilst its hygienic, non-soaking design and smooth surface means it stays dry no matter what. 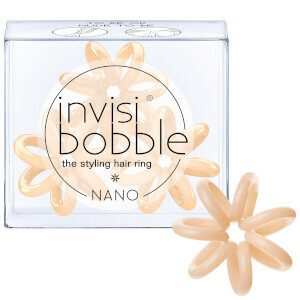 Can be used in wet or dry hair without tangling, breakage or snagging. Includes 3 x hair ties.